Kurdistan is what America wanted Iraq to be. It’s America’s reward. Hundreds of thousands of Kurds were murdered under the tyrannical regime of Saddam Hussein. Some four thousand Kurdish villages were destroyed. Betrayed again and again by the nations of the world, the Kurds were as decimated as any people in history. Then came the Kurdish Miracle, that combination of ancient wisdom and modern economic genius that is now making the Kurdish homeland one of the most prosperous places on earth. Many experts predict that this homeland will soon be the world’s newest nation. 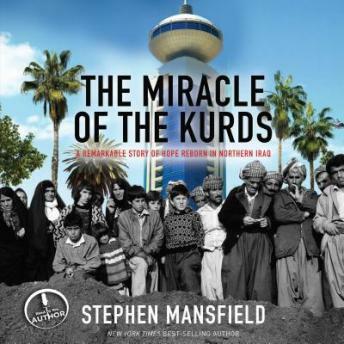 Stephen Mansfield witnessed much of this history. In this audio book, he has turned the skills that have made him a New York Times best-selling author upon the Kurdish story. He has captured the agony and the determination, the horror and the genius of one of the most remarkable stories of our time.